A beautiful piece of Phra Pita that Luang Pu Tim made for other temple as it have mixed the left over metal of the most expensive Phra Kring Chinnabunchorn that he have created. 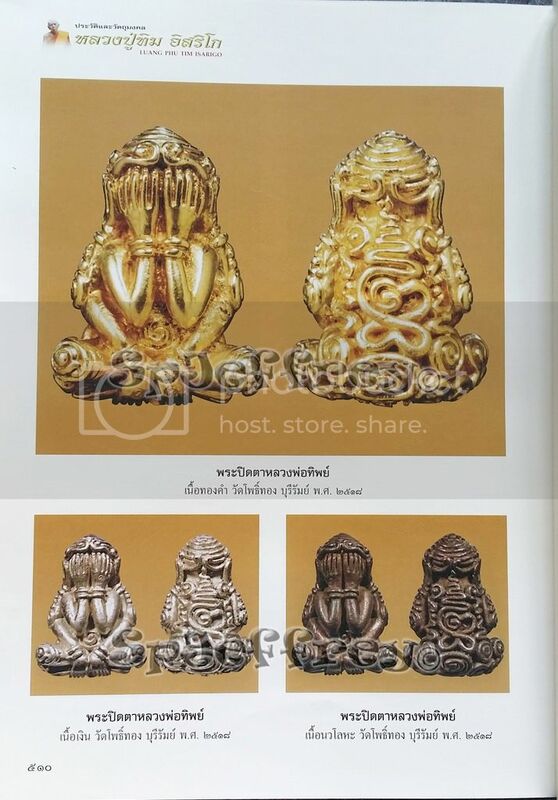 Follow the beautiful design of Phra Pita Yang Yung at the back and made of nur nawa as there is only 3 different materail (Gold/Silver/Nawa) appeared in Luang Pu Tim's Thick Book. Coded with 3 coded makes it even rarer as prices of this phim is contently rising and getting harder to get in the market. 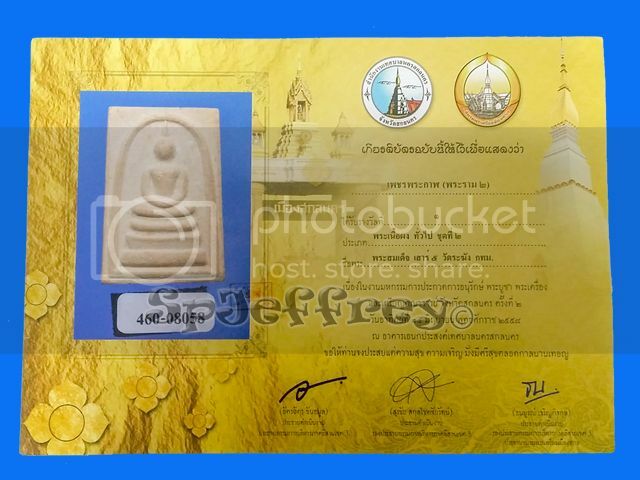 Excellent piece to collect as prices of amulet that release from Wat Lanhanrai itself have been getting very high. 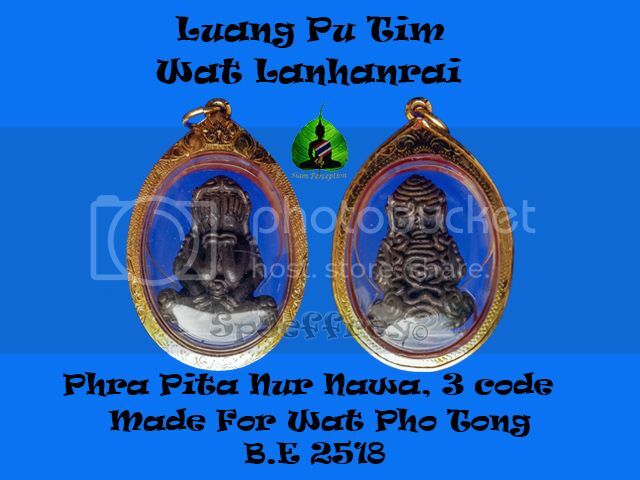 Not only collect but to wear as Phra Pita is excellent for protection and wealth and not to forgot mostly all of Luang Pu Tim's amulets comes with great metta. 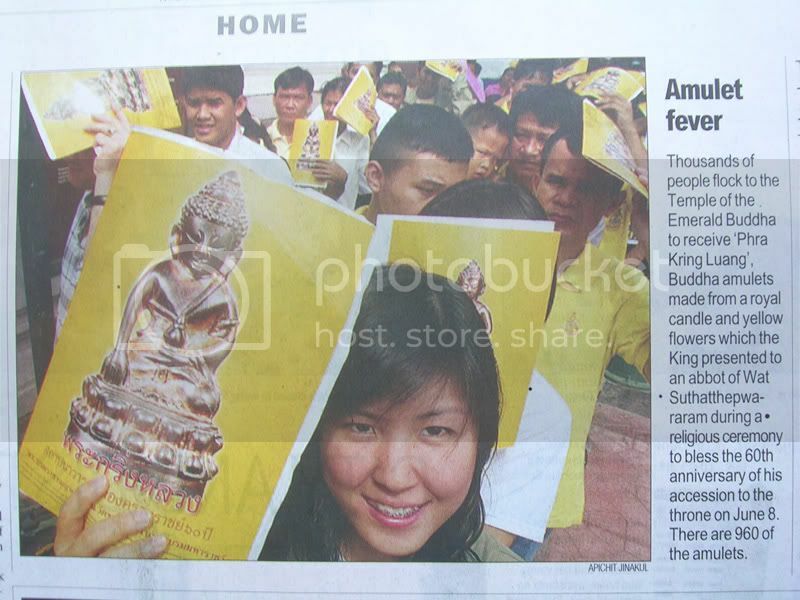 (Many feedbacks from Luang Pu Tim's Collector). Encased with Gold casing, ready to wear anytime and protects the mint condition of this beautiful Phra Pita. 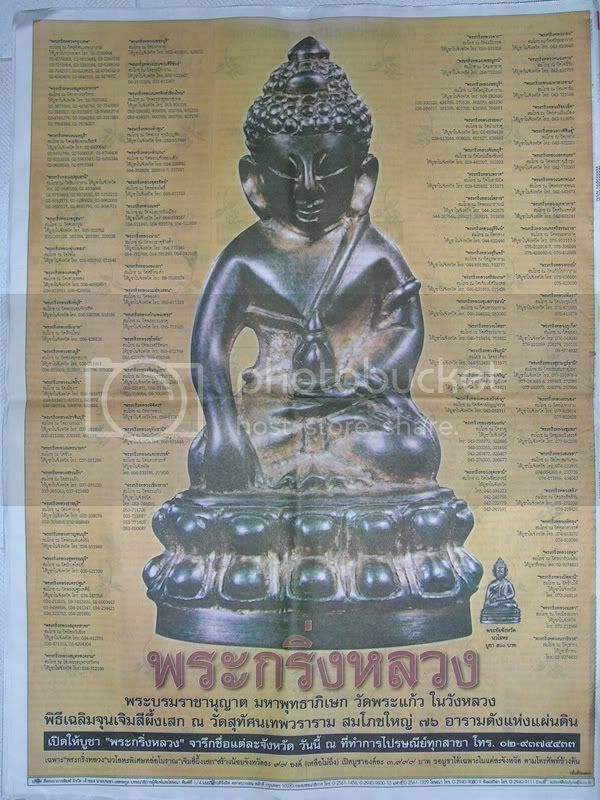 This batch of Phra Somdej have been chanted in B.E 2537 to commemorate 121 years of Wat Rakang. 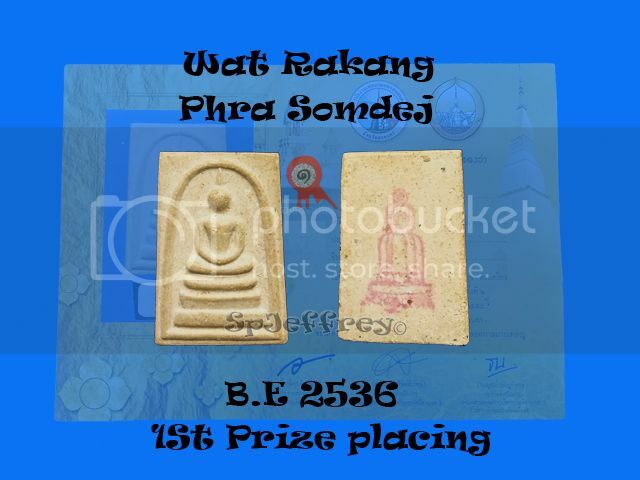 Althought this batch was not hand made as compared to Phra Somdej Roy Pee as this batch was machined pumped but old Wat Rakang powder have been added into this batch of amulets too. As prices are lower than Roy Pee, it is more affordable to the masses and definitely worth wearing it. 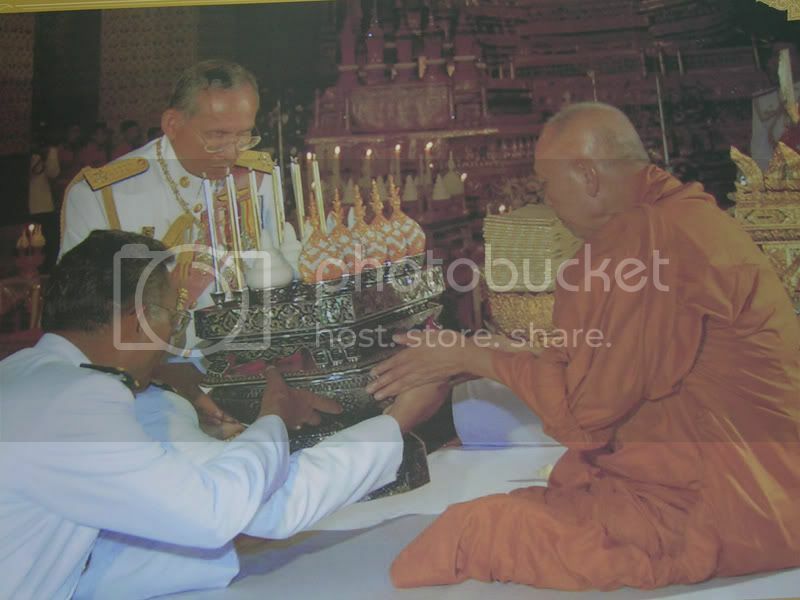 Luang Pu Tim Foundation Chernaporn yant "ha"
Last edited by spjeffrey; 07-12-2015 at 23:06. 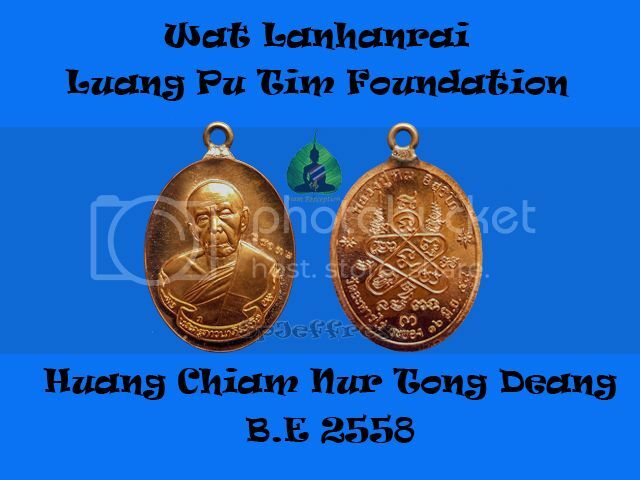 Luang Pu Tim Foundation Copper Huang Chiam yant "ha"
Luang Pu Tim Foundation Nur Alpaka Huang Chiam yant "ha"
Last edited by spjeffrey; 07-12-2015 at 23:42. Last 2 piece on hand.